Like many others, I subscribe to a monthly scrapbooking kit. After much research and weighing the pros and cons, I decided on Studio Calico. With my first kit back in May, I used up almost every bit, but with June, I struggled to make it all come together. I decided not to worry myself about using up products that I felt ho hum about and move on. Once I get to work with a kit, I do find it fun to keep it together and not bring in anything extra aside from some basic tools and supplies. The hubs and I celebrated our first wedding anniversary in June and I liked the idea of using the travel themed products to document our relationship's journey. 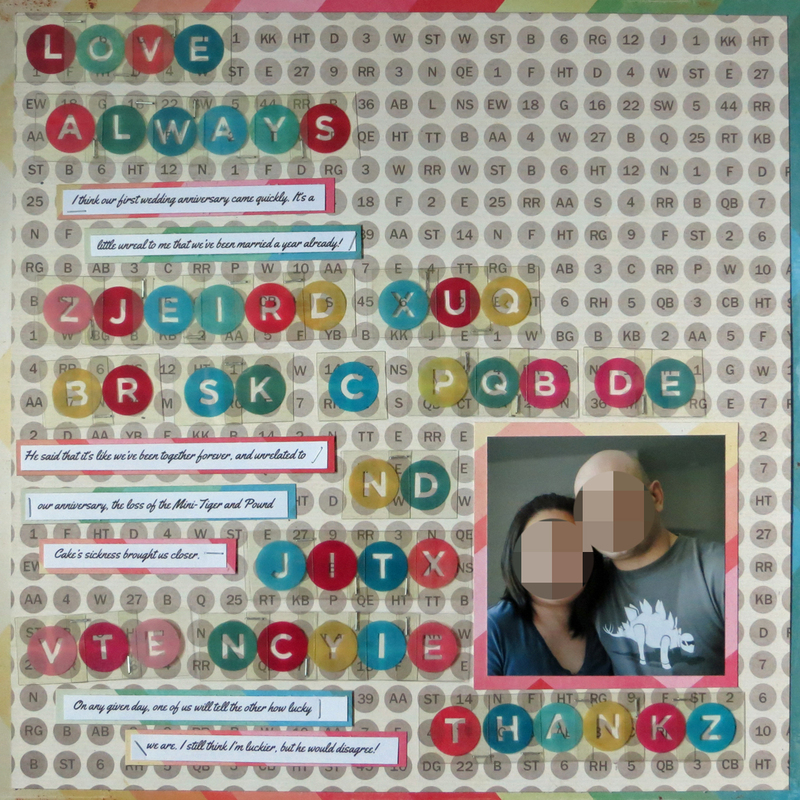 I decided to do a 2-page layout highlighting the milestones of our relationship so far. I printed the 8"x10" photo at home on textured cardstock after some minor editing. I had asked the hubs to give me his thoughts on our anniversary, and being true to character, he kept it short and sweet. The acetate letters from Basic Grey aren't something that I would have bought, and wasn't sure I'd use them again, so decided to put ALL the remaining letters on this layout. 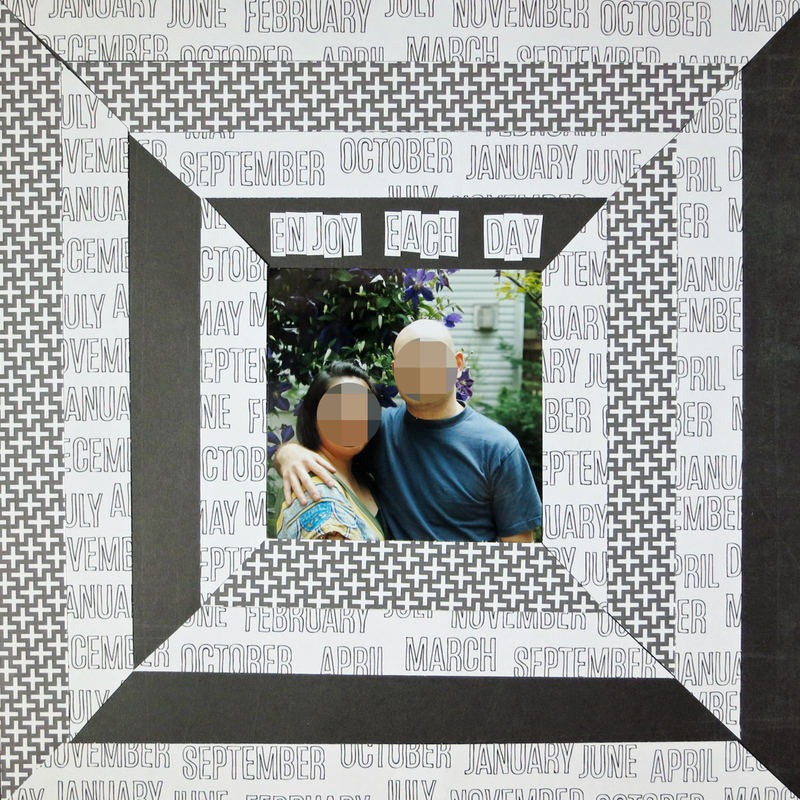 I was inspired by this fab layout by Catherine Davis, but as I was assembling the strips, I decided to leave it without adding embellishments. Not too bad for two sheets of patterned paper! Though the black didn't come from the kit, it is a super old Basic Grey. I am really looking forward to working with July's kit and will definitely get more than 4 pages made with that one! Do you sub to a kit, if so which one? Great work with the kit! LOVE how you used this kit!! So cool!! These are amazing! I love how you used the acetate letters. That's the thing I like about working with a kit -- it prompts you to try products you wouldn't normally use. Amazing job! Wonderful pages! Love how you used those colorful letters! 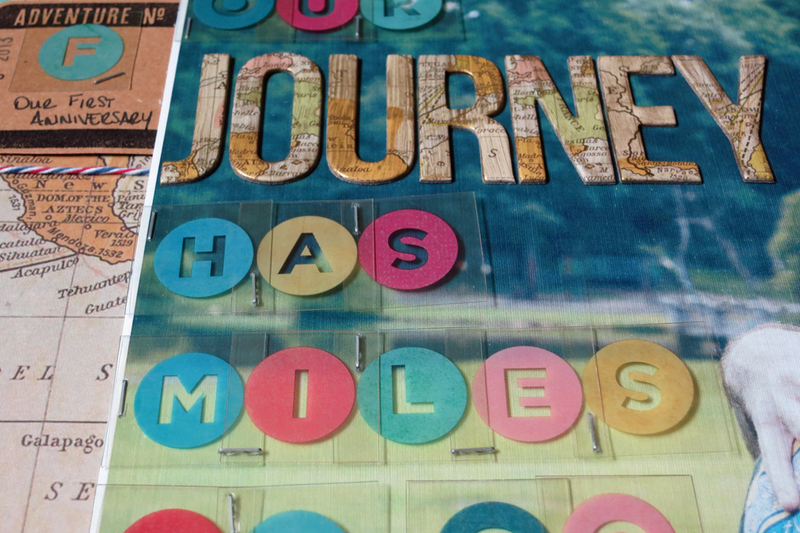 What a fun idea to use travel pages. love what you have done with the kit... great travel layouts. thanks for sharing. That B&W one is awesome! Your first layout is amazing, love everything about it ! 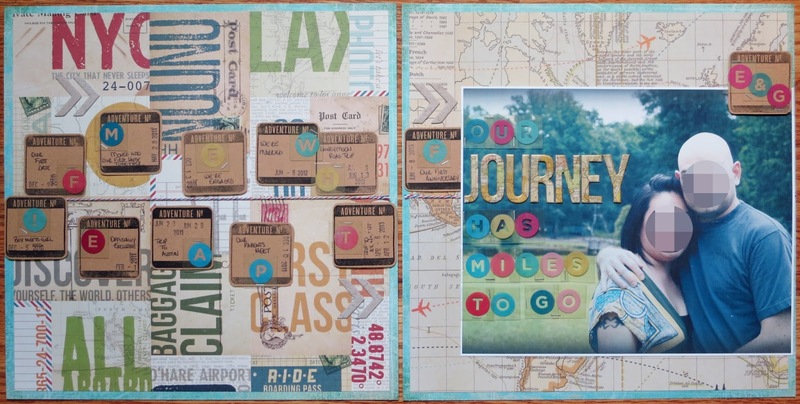 Using travel-themed supplies is such a good idea for relationship pages. I love the first layout!! you do amazing work lil!! thank you for sharing with us! Thanks ladies, love seeing all your inspiration as well!